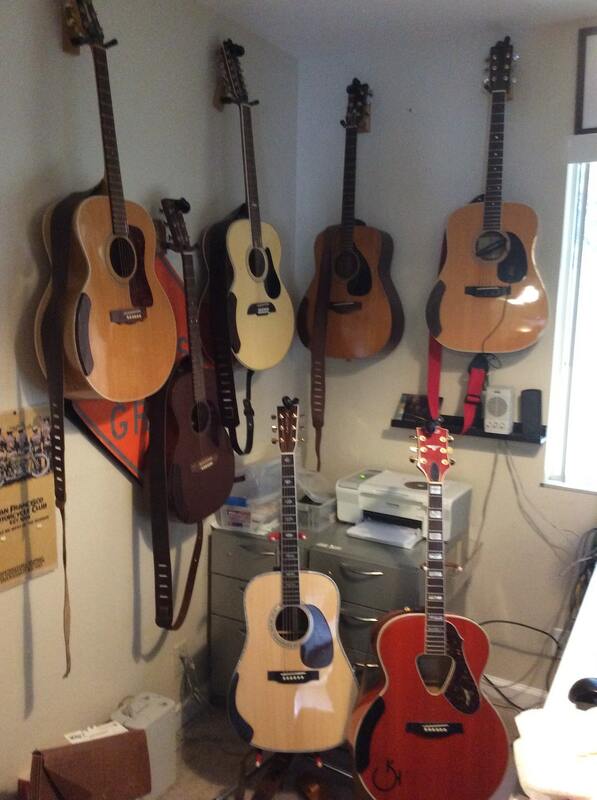 Left to Right: Breedlove Solo – 12 string, Epiphone Dot, Fender Squire Strat, and Waterloo WL-14L. Also shown; Clarinet, Hohner accordion (Django always sang with woodwinds), ukuleles, Yamaha 5’6″ grand piano, cello, dulcimer, and R.W. Jameson banjo. 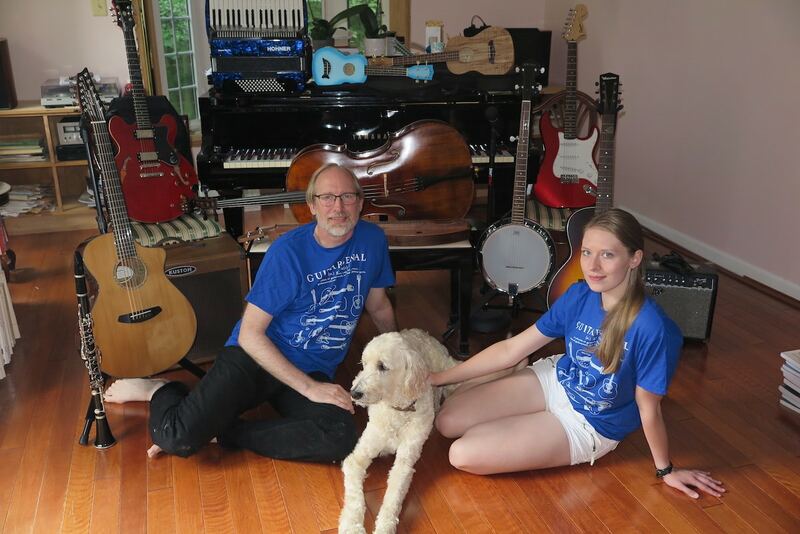 We were joined in the photo by my late, faithful companion Django.